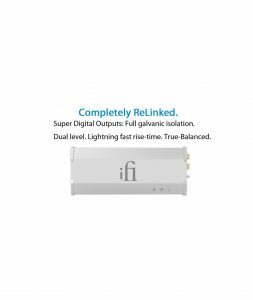 iFi’s DNA means it is able to exclusively bring high-end products to the entry-level price point. Yet the iFi iTube will still astonish. 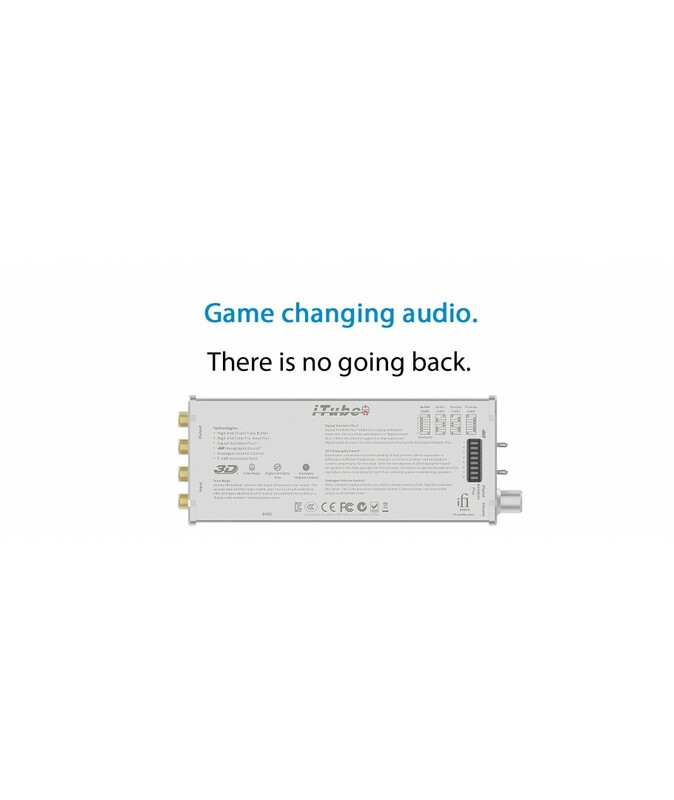 Virtually every audio system has scope for improvement in the digital or analogue domain. There is nothing like the iFi iTube which addresses both. It is that special. The special Class A tube buffer circuit puts the ‘analogue’ back into your music. 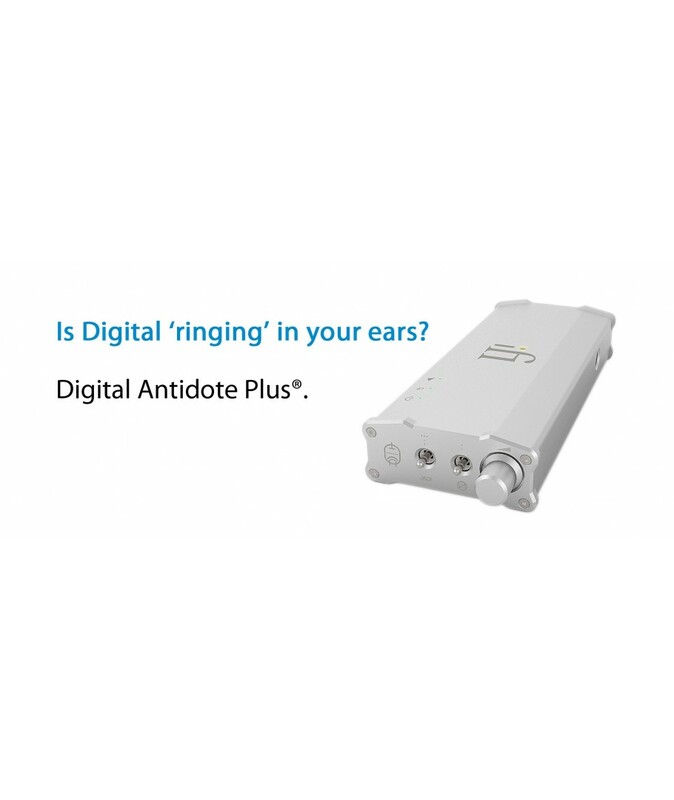 The Digital Antidote Plus® re-equalises harsh, ‘ringing’ digital sources which causes listening fatigue. The Tri-brid stage offers input impedances of 1M ohm (Buffer) to 100k (Preamp) with the ability to drive professional 600 Ohm loads. This feature found only in select, top-end pre-amplifiers means the iTube is able to ‘bridge’ different impedance systems such as tubes to pro-audio solid-state. 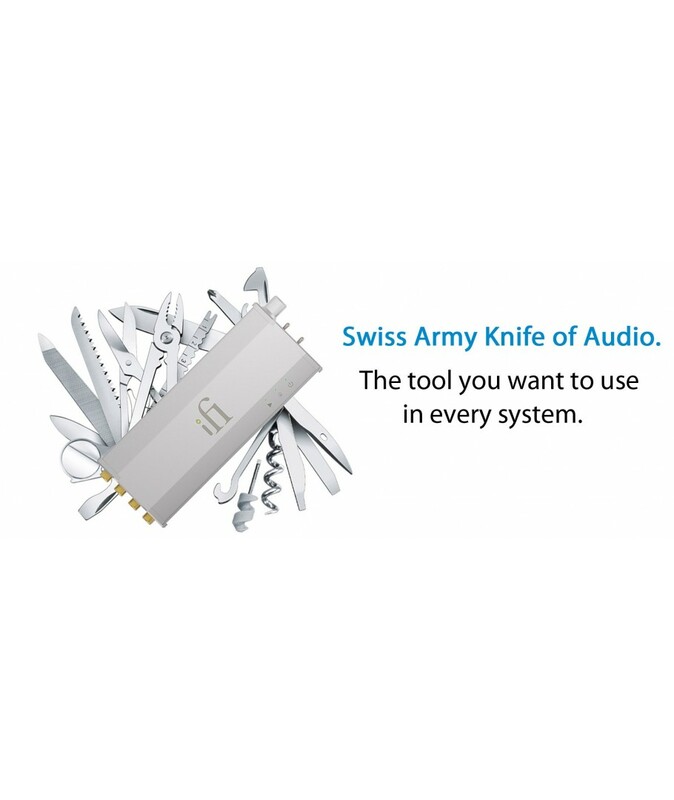 With even more additional features not found elsewhere including 3D HolographicSound® system for Speakers, the iTUBE makes a Swiss Army knife seem one-dimensional. Prepare yourself for extended listening sessions. The iFi iTUBE is a game changer. The Frankfurt University of Music and Performing Arts conducted an extensive scientific study(1) where participants reported a ~60% decrease of tension, nervousness and a 120% increased sense of well-being with a HiFi system including tubes, when compared to a solid-state system. We still do not fully understand why tubes do that “voodoo they do”, but the scientific evidence is clear. The 3D HolographicSound® system for headphones in the renowned iCan has gained widespread acclaim. 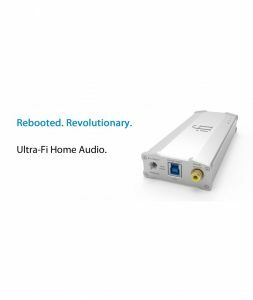 The iTube maintains the tradition with 3D HolographicSound® system for speakers, based upon a fundamental tenet of human hearing that has been ‘lost’ down through the years but revived by iFi for 21st century speaker reproduction. At the dawn of stereo recording in the 1930s, a fundamental problem was documented by the ‘father’ of stereo sound recording – Alan Dower Blumlein. In his seminal 1933 binaural sound patent, due to the shape and size of the human head, stereo separation is greater at high frequencies than it is at low frequencies. So the virtual sound sources for low frequencies and high frequencies of the same exact instrument are not coincident. Despite this being ‘known’ for 80 Years, very few recordings and no playback system compensate for this issue and little research has been conducted on how to correct this. 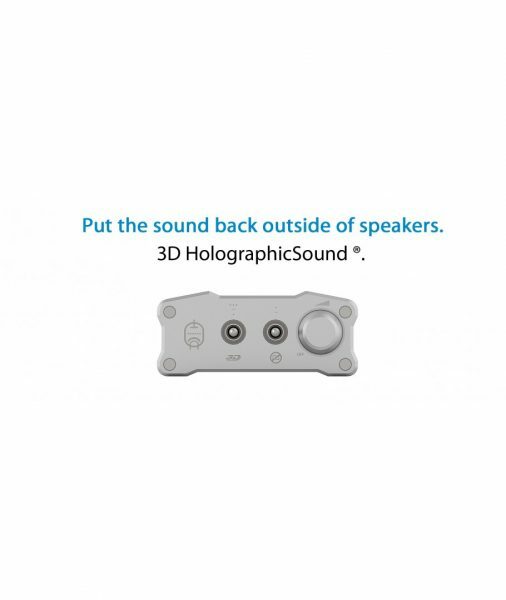 With the introduction of 3D HolographicSound® system for Speakers, iFi offers for the first time in 80 years, the means to correctly play back the majority of stereo recordings. Adding insult to injury, playback from desktop speakers is even less ideal. With the typical narrow placement of speakers on each side of a computer monitor, the stereo sound image is greatly reduced. With the 3D HolographicSound® Wide setting, enjoy a sound field that is outside of the speakers with front to rear depth that is palpable. There is no other analogue technology like this. During the classic era of CD playback, the Digital Antidote was developed to widespread acclaim by Tony Taddeo. 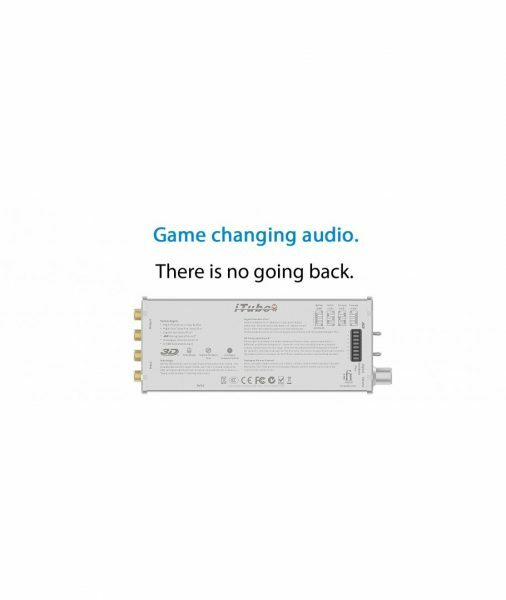 The iFi Digital Antidote Plus® is the 21st Century new, advanced version; ready for high-definition audio, with active technology underpinned by superlative component quality. Digital Antidote Plus® significantly reduces ringing and digital distortion; two main contributors to ‘digital sound’ that is oft described as aggressive and unpleasant. Enjoy your digital audio for longer, thanks to Digital Antidote Plus®. Many computer audio systems use a digital volume control which typically truncates the signal. Not the iTube, it is able to preserve the innermost resolution of the source like no other. 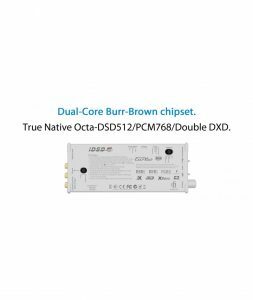 Its precision analogue volume control is there when needed and out of the circuit when not.